In the event of a fire at your business premises, dry risers provide the Fire Brigade with a reliable source of sufficient quantities of water. A dry riser system allows water to be rapidly pumped to upper storeys of buildings over 18 metres above ground level, or to low level buildings which have long distances from entrances. Dry riser inlet and outlet cabinets allow easy access to the vital valves of your system, but prevent accidental use, tampering or vandalism. All our cabinets are secured with slam locks and tough steel hinges, and can be recessed into walls or surface mounted. In case of breakage, we also stock replacement glass. Our breeching valves (2 way for 4" rising mains, or 4 way for 6" mains) are contracted to the highest standards, conforming to BS 5041 Part 1. By using specialised metals such as spheroidal graphite iron, gunmetal and copper alloy, each part functions perfectly when you need it most. Our dry riser landing gate valves are tough, durable and corrosion resistant, and precision machined for a water-tight seal when shut off. We also stock low pressure globe pattern landing valves for special systems, and high pressure regulating valves for hydrants. Air pressure release valves are an essential part of an effective dry rise system, and our automatic valves ensure that air escapes when required, and only when required! Constructed with a simple yet remarkably effective rubber ball system, the very simplicity ensures years of trouble-free operation. 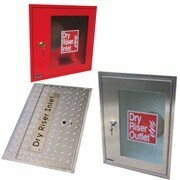 After use, your dry riser system needs to drain, hence the need for our high quality drain valve. Humble but essential! 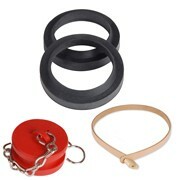 From replacement valve caps to spare washer, you can replace lost or worn items yourself quickly and easily. 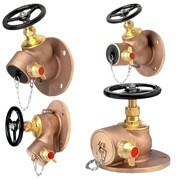 Leather straps and padlocks ensure valves stay in the closed position without damaging the hand wheels. Clearly make your dry riser cabinets and system components with a standard or 'glow in the dark' Jalite photoluminescent signs, which can be fixed with sticky pads, double-sided tape or 'no-nails' style adhesive.